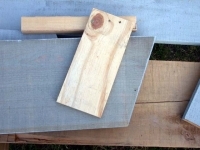 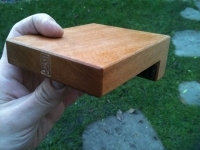 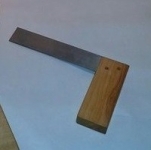 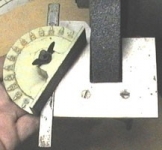 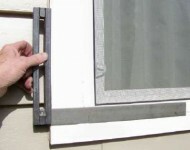 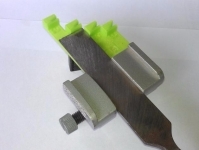 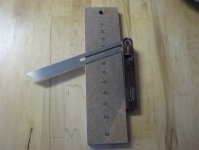 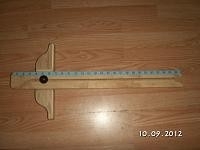 Homemade square checking tool consisting of a simple, wooden jig. 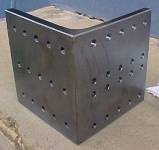 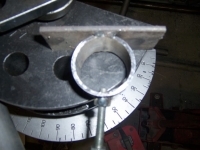 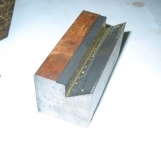 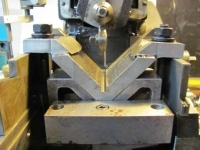 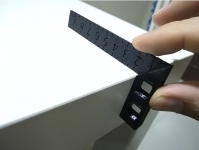 If all three points are in contact with the workpiece, the corner is square. 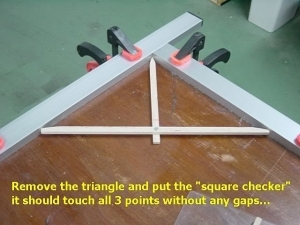 Seems simple enough...easier than the 3-4-5 method.